Giovanni Benedetto Castiglione (1609–1664) ,pintor italiano. 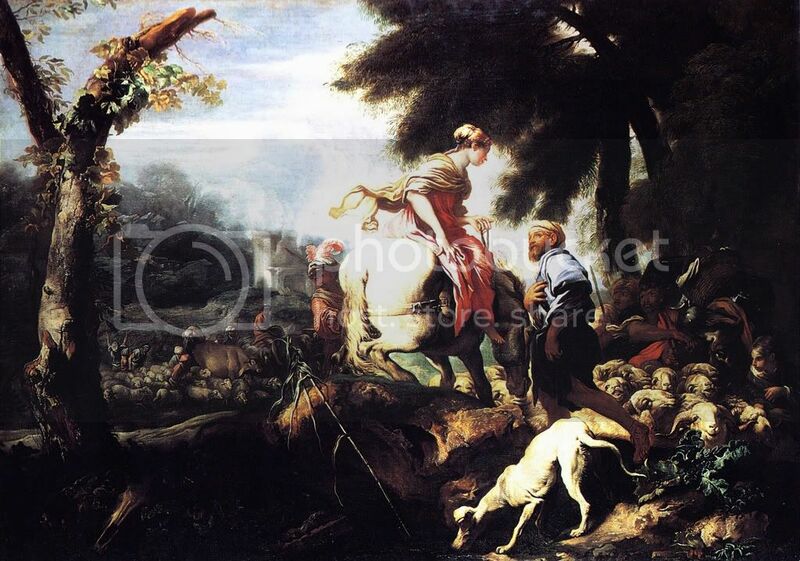 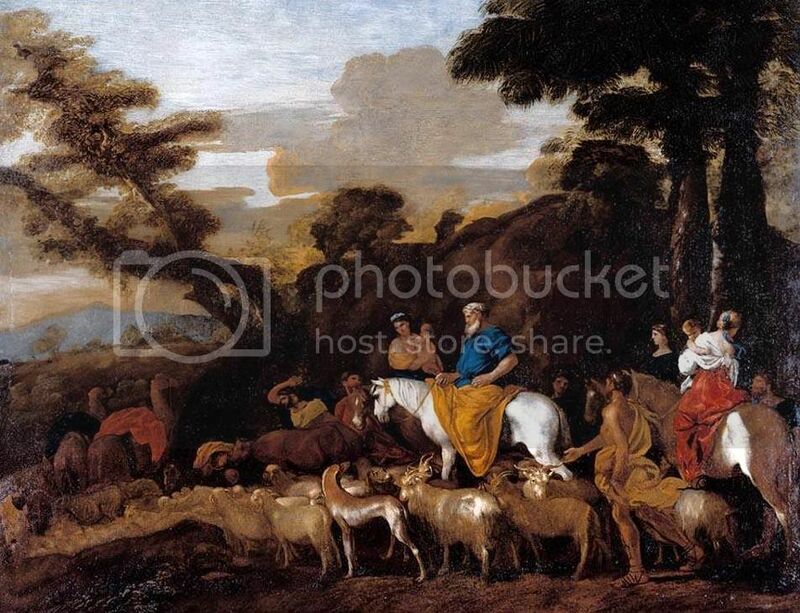 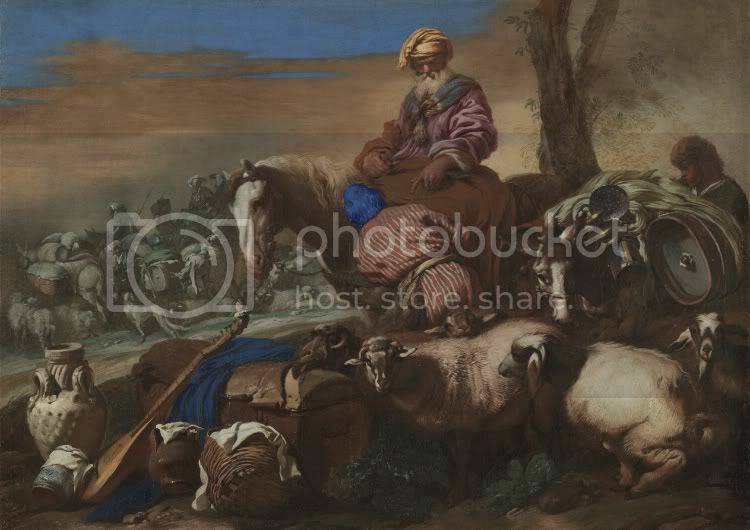 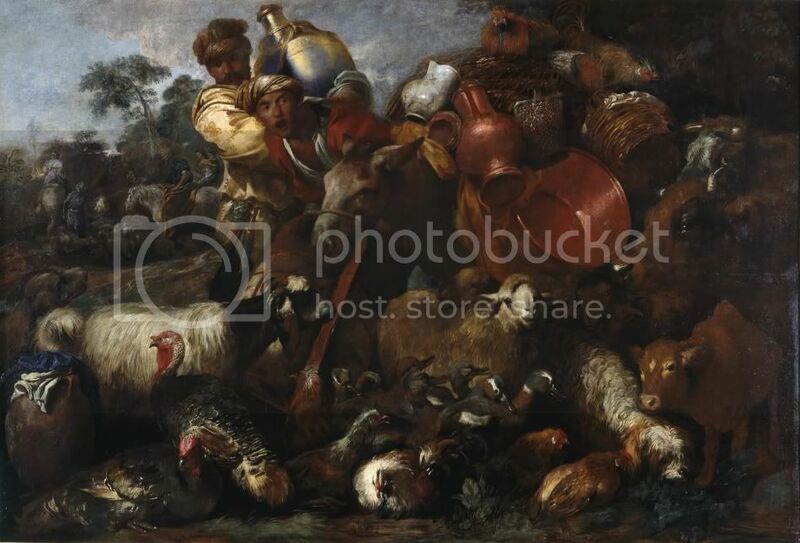 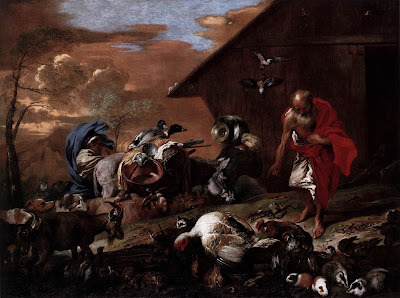 Jacob Leading the Flocks of Laban.1632. 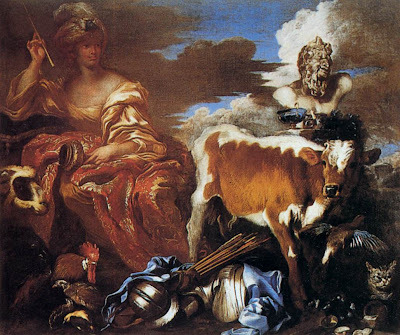 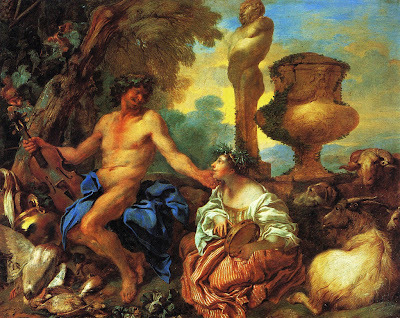 Meeting of Isaac and Rebecca.1640. 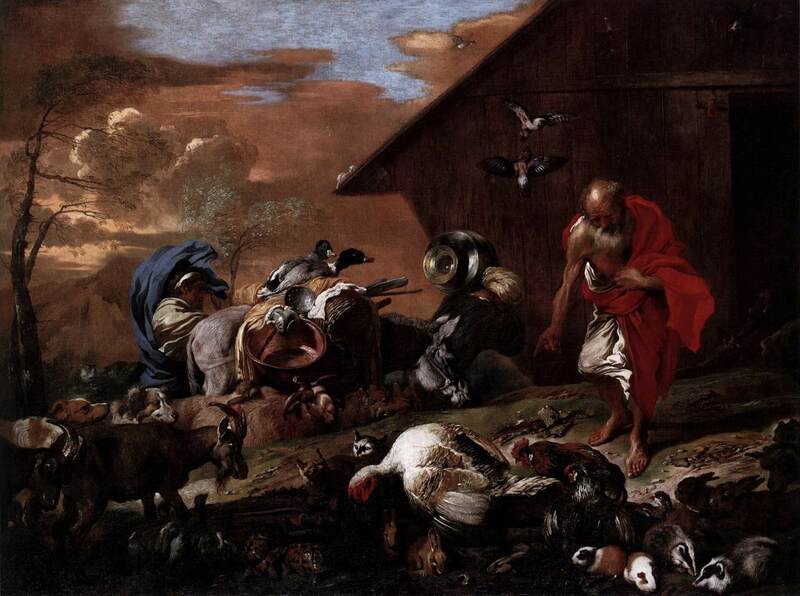 In Front of Noah's Ark.1650. 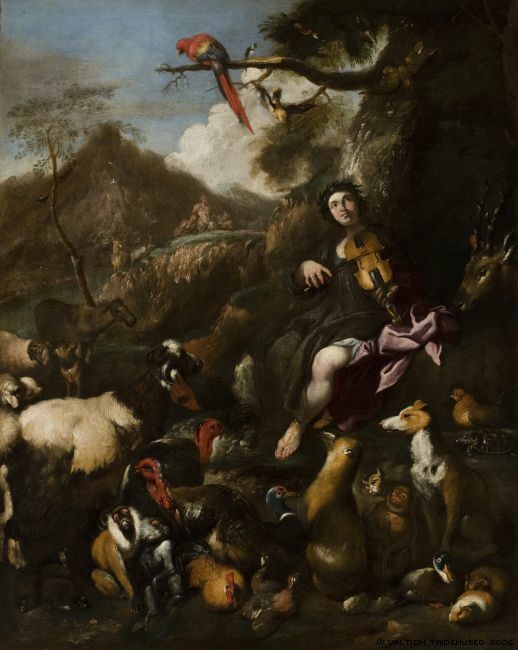 Pastoral Scene, Faun and the Shepherdess.1650. 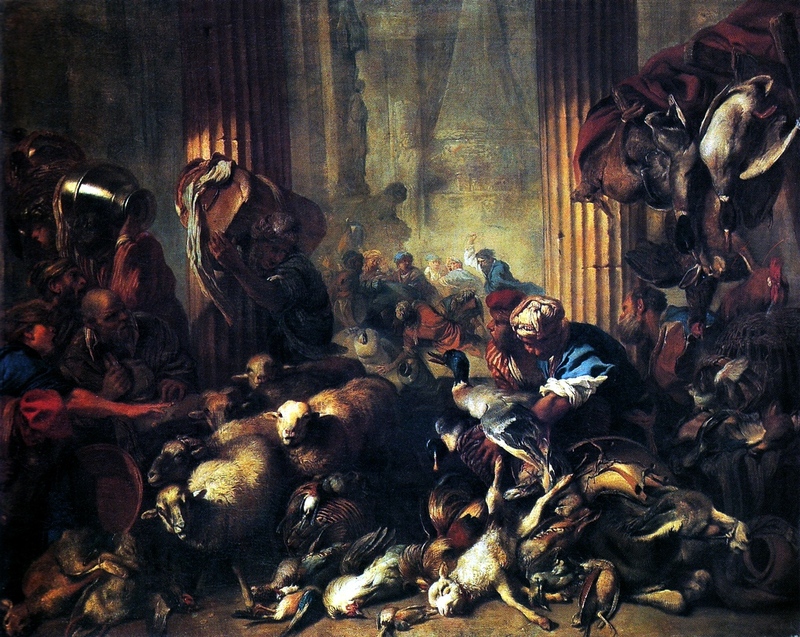 Christ Chasing the Moneylenders from the Temple.1645-55. 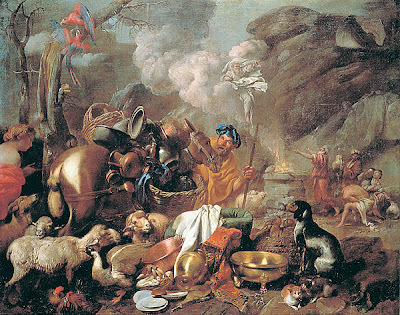 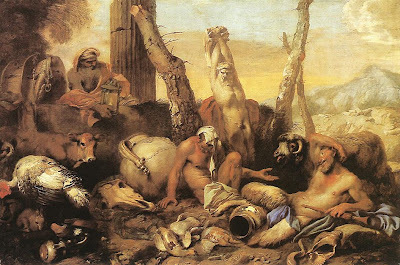 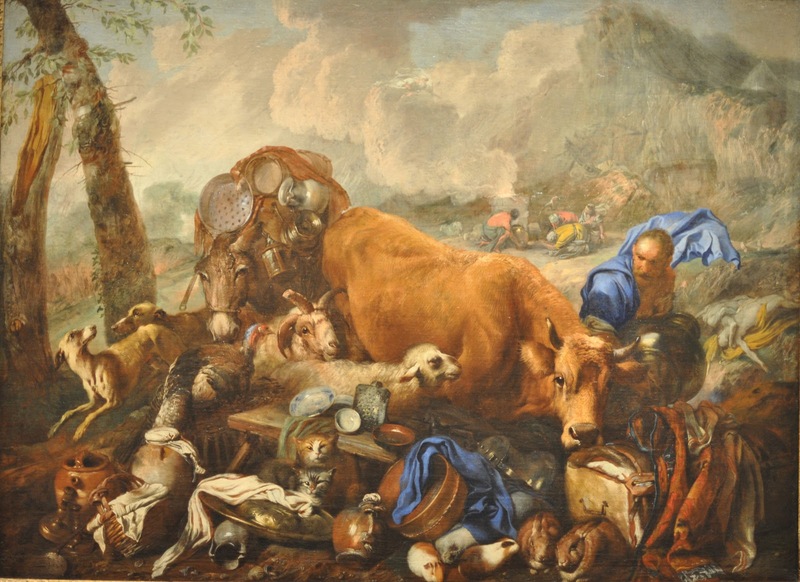 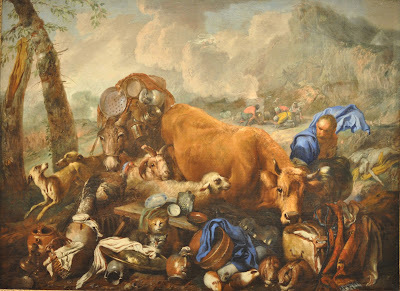 Noah's Sacrifice after the Deluge.1650-55. The Oath of Abraham’s Servant.1650-59. 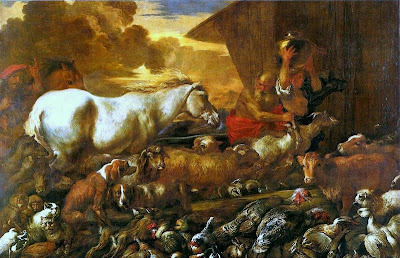 The Animals Entering Noah's Ark.1650-64. 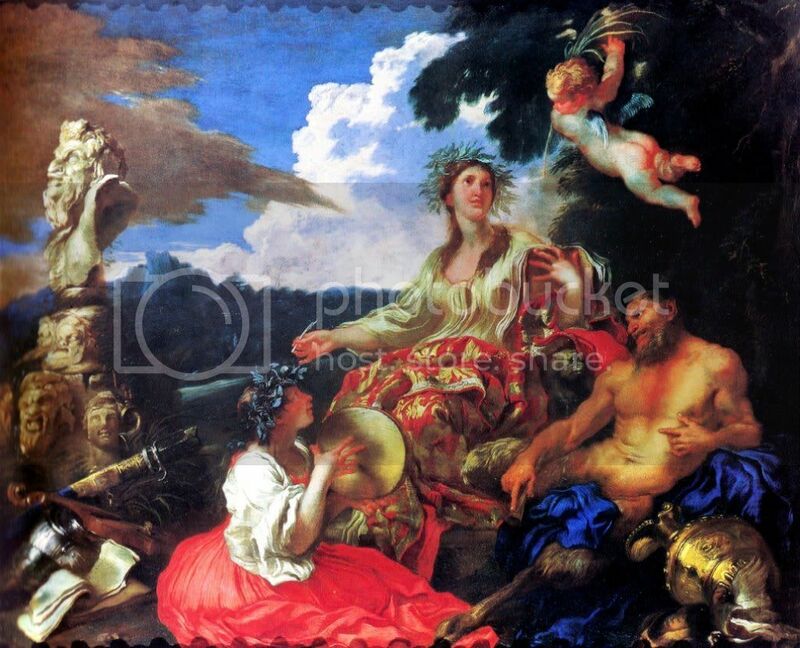 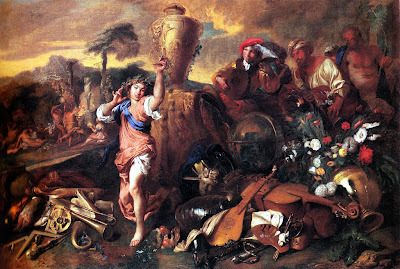 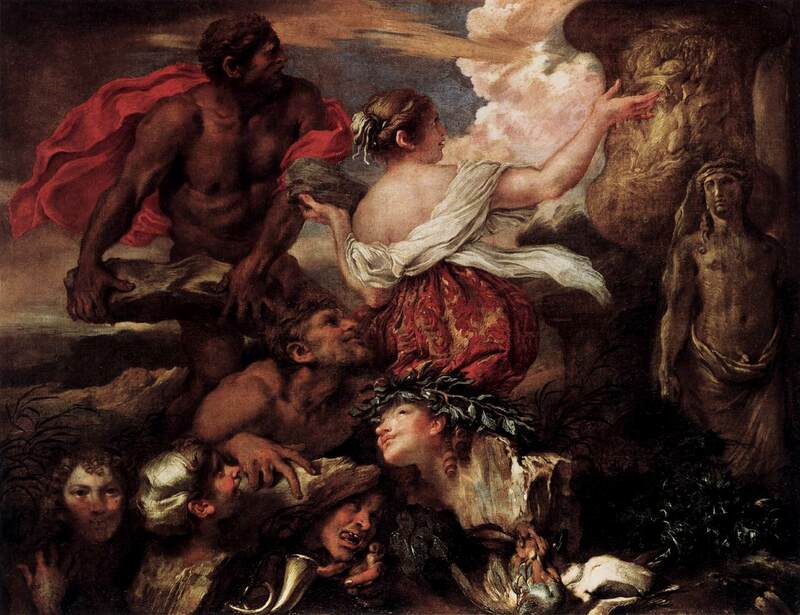 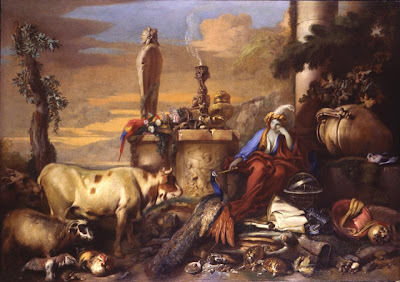 Orpheus singing to the animals. 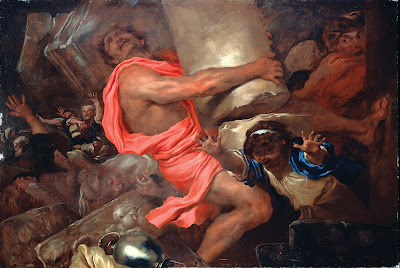 Samson Destroying the Temple of the Philistines.